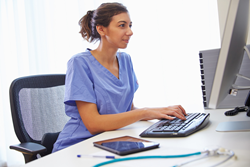 Professional Education announces today publication of their new program, "Strategies for Entrepreneurial Nurses," an online-only career development course. Entrepreneurship is a new concept in patient care. Nurses, CNAs, Medical Assistants and other care givers wishing to move outside of institutional facilities can learn about an innovative business model breaking ground throughout the nation: private practices, or “boutique practices” such as foot care specialization. Professional Education Co-Founder, Janet McCormick states, “We believe our education supports the vibrant growth of this new model. We are very pleased to have the opportunity to support these practitioners within their communities and their patients who benefit.” This new program offers information not readily available in traditional training of medical care workers. This course was developed as a companion course to the vital training necessary to meet a growing need in the U.S.: foot care! In researching an article, writer and educator McCormick was told by nurses she interviewed “my nurse training stopped at the ankle.” This lead to her surveying several nursing/med-surg textbooks and discovering for herself the truth of this statement. In fact, the textbooks averaged only a page or two of foot-specific anatomy, but no discussion of disorders, treatments or interventions. This then lead to the development of comprehensive training modules in the assessment, diagnosis and treatment of feet. These modules are excellent preparatory learning for the foot care specialty certifications available in the nursing field. The natural progression is to a focus on foot care, and thus, boutique practices. Per the CDC, diabetes has more than doubled in the last decade, with current estimates of 9.4% of the US population being diabetic, whether diagnosed or not. (1) This, along with the ‘Boomers passing the threshold of “elderly,” who comprise approximately 25% of adult Americans, means there is a growing demographic of persons requiring safe foot care. The need for safe foot care for patients, not only in hospitals and clinics, but long-terms living facilities is critical. A new approach to providing this critical care is taking it out into the community in a private practice—whether brick and mortar or via travelling to the patients. “I have opened so many successful boutique businesses, that my checklists are pretty comprehensive,” shares Co-Founder Karen Hodges. “My background in business and finance helps keep the focus sharp and profitability attainable.” McCormick and Hodges are often called in to consult new business owners as well as facilities desiring to add new foot care departments or clinics. McCormick and her partner, Hodges, have extensive experience in researching and developing training courses for licensed professionals. Both of them have taught in the classroom and online for many years and are deemed as experts in educating foot care providers. Their educational platform at http://www.prof-ed.com employs cutting edge Learning Management System (LMS) software which allows the students to view the materials 24/7 on any device, as long as there is access to the internet. Questions about the programs offered or inquiries about consultations may be directed to info(at)prof-ed.com or calling 239-220-5830.